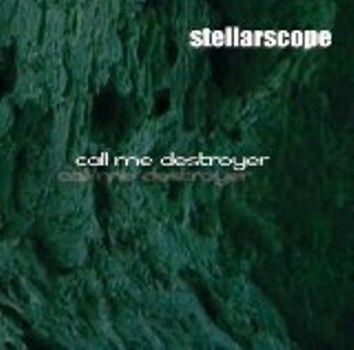 Dark and spacey, Stellarscope is set to release a self titled album November 25, 2011. Influenced by such bands as My Bloody Valentine, Radiohead, Pink Floyd, and Jesus and Mary Chain, Stellarscope creates textured soundscapes grounded with intense vocal conviction. Out of South Philly, USA comes groovy psychedelic space rock. Stellarscope is a three piece band comprised of Tom Lugo (vocal /Guitar / fx/ samples/ programming), Rob DeFlaviis (bass / keys) and Bob Forman (drums / percussion). 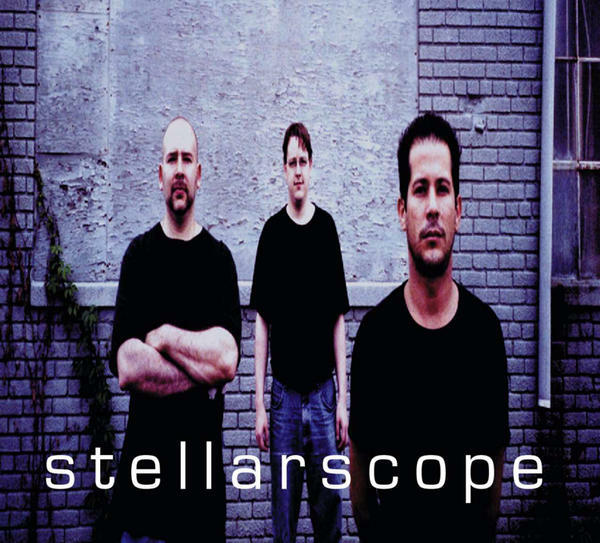 Over the past decade since their inception, Stellarscope has consistently played along America’s East Coast & Canada while releasing several full-lengths and EPs, and also participating in various worldwide compilations and tribute albums. Safe and sound. But am I really? I met someone the other day who sorta scared me and now I very carefully look over my shoulder while walking down the street. I check just for an instant. No one is there. At least, I didn’t see anybody. No, I didn’t see anyone. But do I even know what he looks like? Yeah, I met someone the other day who sorta worried me. I think he was joking, but I don’t really know. Later on, the phone rang. The display listed no name. But then, who would I be looking for anyway? I don’t even know his real name. And like I said, I don’t know what the heck he looks like. Safe and sound. It’s okay, it’s okay. Everything will be alright. How much harm can there be? It’s just some random neff I talked to over the internet. We cracked a few jokes here and there, that’s all. Passed the time, you know. I don’t actually believe he’d come hunt me down. People just say things like that sometimes, right? All the same, I didn’t give him my name. Google this, google that, google him, google me. Nothing on his screen name, and what about mine? Am I as anonymous as I hope to be? Hardly. Can he find out my true self? If he wanted to, if he really got all fiended about stalking me out, I suppose he could find out quite a bit. But then, he didn’t seem like the type to go through all that trouble. He didn’t seem like the type, but then he said I didn’t know what his obsessions are. Ha. Nor does he know mine, I guess. So which of us would win out? Is this all a game? Are we playing? Or do I have to keep walking the streets, skeeved out by every stranger who eyes me for a moment? When do you most feel safe and sound?